Take 10 Seconds to Share this Video and Make It Go Viral! Today is September 11, 2018. Seventeen years ago today, a monumental act of violence was perpetrated on the world. It was then used to launch a permanent war that lasts to this day. 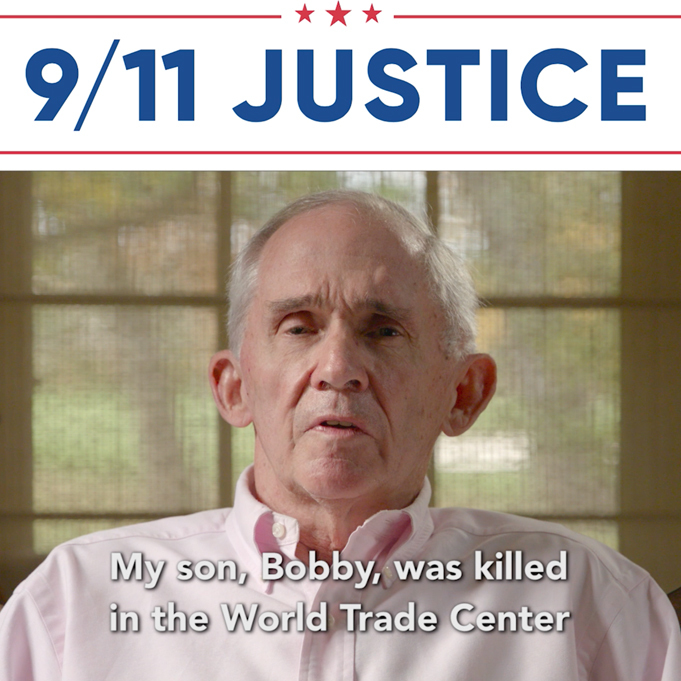 Over the past 17 years, members of the 9/11 Truth Movement have worked tirelessly to correct the record on this pivotal event and bring real justice to the thousands killed that day. Each year, September 11th is the day when we come together to remember those who perished and to re-energize our continued pursuit of truth and justice. 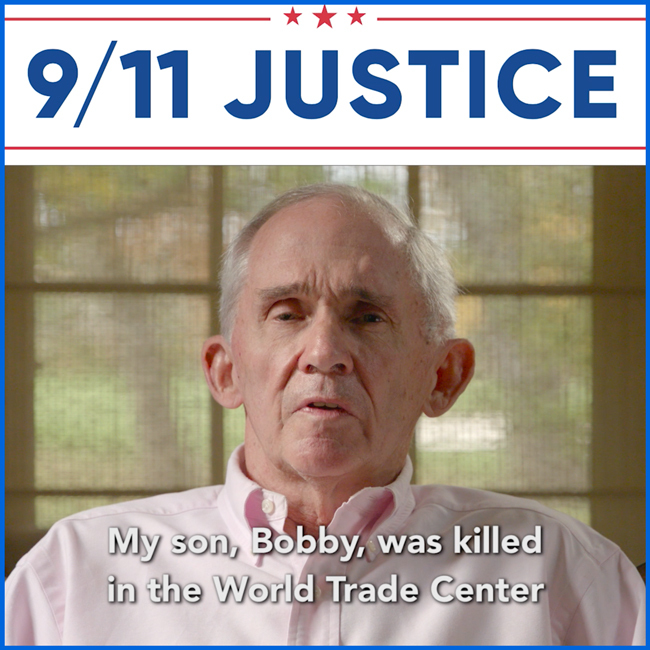 In honor of those who died on 9/11, those who’ve died since from 9/11-related illnesses, and the millions who’ve died in the post-9/11 wars, please take a few minutes to share our September 2018 Bobby McIlvaine video on social media and with your members of Congress. 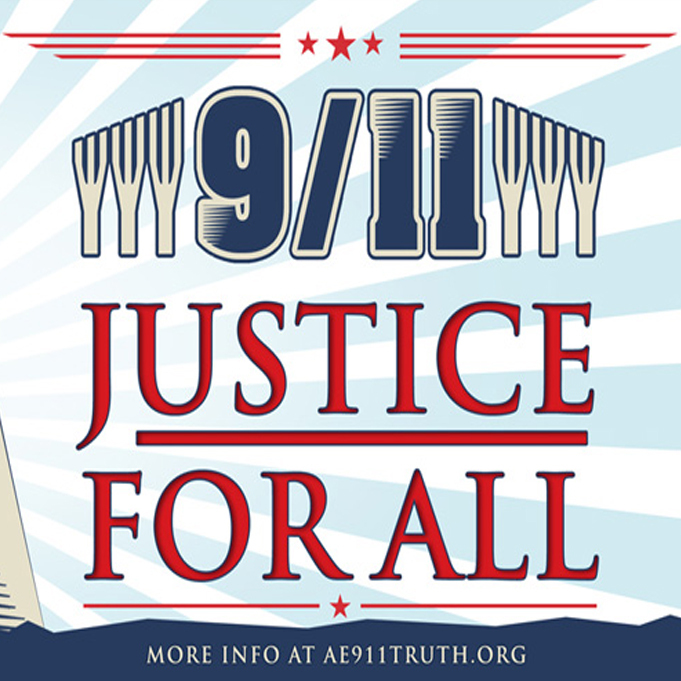 We also invite you to attend the “9/11 Justice for All” events in Washington, D.C. 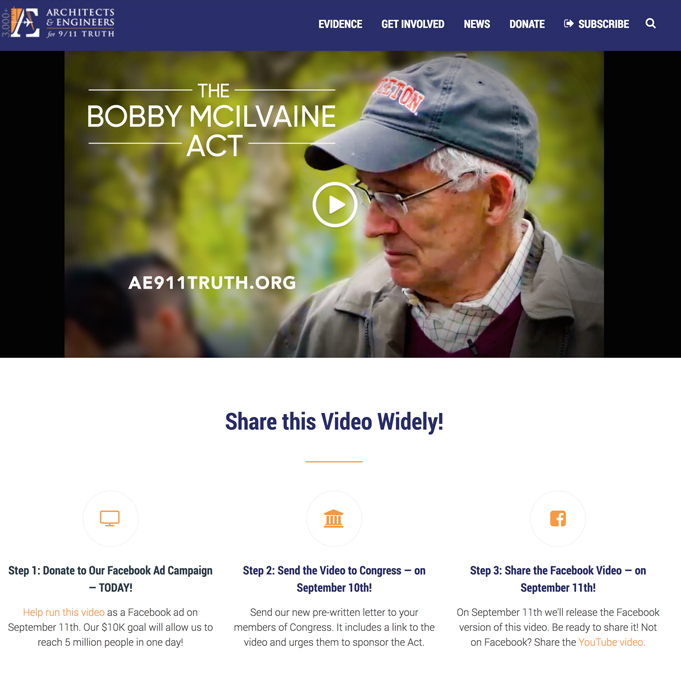 If you cannot attend, we invite you to watch both the 2:00 PM rally at the U.S. Capitol and the 6:30 PM “Evening of Truth-Telling and Music” via livestream on the Bobby McIlvaine webpage. Thank you for making a difference this September 11th and for all that you are doing to further the cause of 9/11 Truth.